. Published on February 7, 2019. Running a small business is a LOT of work, as anyone who does so can attest. The benefits—namely, being your own boss—certainly outweigh the drawbacks, but sometimes it can still be tough. Making sure everything checks out monetarily—for yourself, for your employees, and for the government—can be stressful, eat your time, and, if you aren’t an expert, can get you into all sorts of financial or legal trouble. 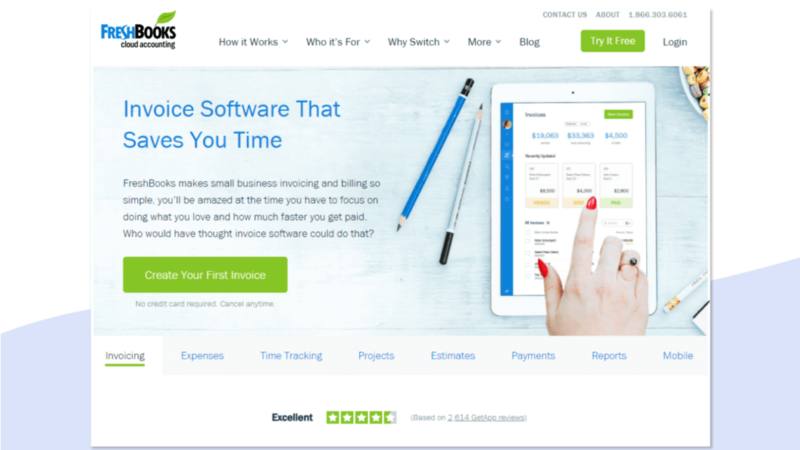 Because we understand the struggles that small business owners and entrepreneurs go through, we here at MightyCall put together a list of the best accounting software for small businesses. Our parameters were price, ease-of-use, and product features (among other things). They’re ranked in no particular order. Freshbooks is an incredibly useful accounting tool, for numerous reasons. For one, it includes the use of a versatile, easy-to-navigate mobile app, which allows you to check your finances on-the-go. 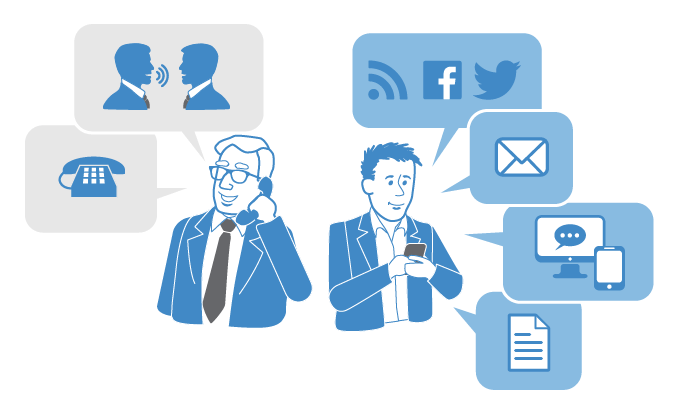 It integrates with CRM, which is a tool that is widely used by small business owners. For those of you who conduct international transactions, Freshbooks also allows for multi-currency usage. On top of all of this, Freshbooks is priced reasonably and allows for a 30-day trial before committing to a purchase. Zoho Books, like Freshbooks, employs the use of an excellent mobile app. However, unlike Freshbooks, it also allows for inventory tracking. It also allows for integration with other Zoho products, which is a big plus for those who rely mostly on Zoho. Zoho is also incredibly useful in that it allows for automation, like payment reminders and automated bank feeds. It does not include training, however it’s easy to use- you’ll pick it up in no time! 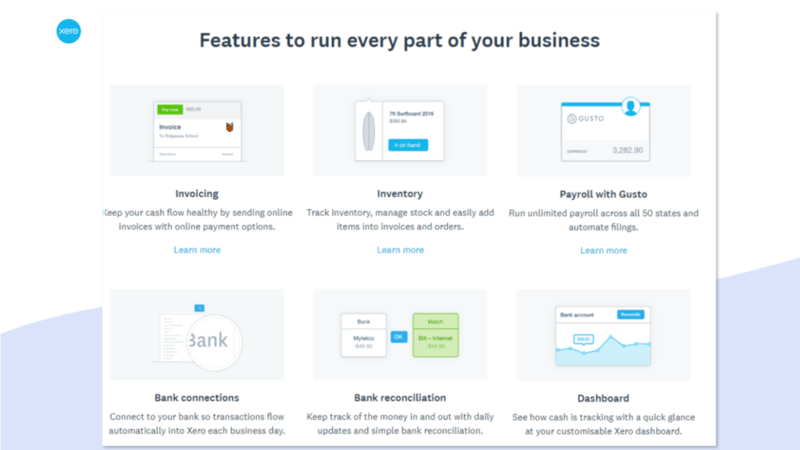 Xero is great because it was created with the user in mind- specifically, the usability. It is really easy to use, and makes tasks that would normally be incredibly difficult incredibly easy. Unlike our other options on this list, Xero comes with optional training, making it easy to use for even the most computer illiterate. Unlike the others, it also comes with the ability to manage payroll, which is useful for smaller businesses with more employees. It too comes with the ability to manage from an app, but does not offer live support. Let’s get the negatives out of the way first: while certainly not prohibitive, Quickbooks is definitely on the higher-end of the prices for the various software on our list. However, it makes up for it in spades. Quickbooks is incredibly easy to navigate for users and boasts a ton of features, and in many ways is the best of both worlds. It has the live support of Freshbooks and Zoho Books, but also offers the payroll management of Xero. It’s one other downside is that it does not operate in multiple currencies. However, if you have a larger small business and operate exclusively in the US, this may be your best bet. On the opposite side of the payment spectrum, Wave, our final installment on our list, comes in at zero dollars and zero cents. Yep, it’s free. Payment and payroll management is extra, but considering some of the items on our list don’t even have payroll, it’s definitely not a reason to discard Wave off the bat. Now, that said, as a free program it has its drawbacks, namely speed and the fact that it won’t be as thoroughly thought-out as a program you shell out big bucks for. However, aside from doing your standard accounting procedures, it also allows for multi-currency usage and, like some others on this list, allows for double-entry and has an accompanying app.